In this role, Candace manages cross channel integrated marketing campaigns and leads advertising and brand execution geared towards diverse audiences. She collaborates closely with the Marketing Brand Strategy team to understand segment needs and identify strategies to drive consideration and acquisition; and develops integrated plans to effectively reach these audiences. Candace also helps ensure the appropriate representation of these segments within our total market communications and provides insights and guidance to internal partners to assist in their efforts to improve outreach to diverse communities. 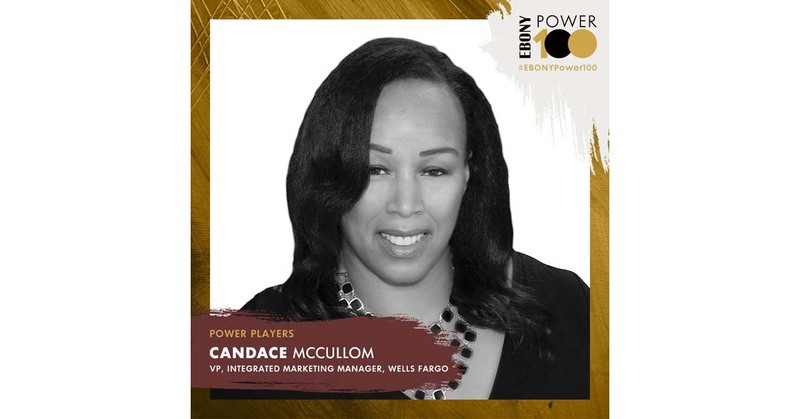 Prior to joining Wells Fargo, Candace was a Senior Account Supervisor at Carol H. Williams Advertising, working on national brands such as Chevrolet, Buick, Pontiac, GMC, Cadillac, and GMAC Mortgage as well as leading all African American targeted advertising initiatives for General Motors Corporate. She has 25 years of advertising/marketing experience, with 15 years spent specifically marketing towards the African American community. Candace graduated from Clark Atlanta University with a BA in mass media arts and an MBA in marketing. She is a member of the National Black MBA Association, where she served as the Director of Branding & Public Relations for the San Francisco Bay Area chapter. Black Enterprise Magazine listed her as one of the top African American women in advertising and marketing in 2011, 2013 and 2016. She's also been identified in the San Francisco Bay area as a "Marketer That Matters". Candace was born and raised in the San Francisco Bay Area and is the proud and supportive cheerleader of an academic and athletically gifted teenage son, and the favorite human of a rambunctious and overprotective middle-aged Rottweiler.